The purpose of this article is to help Cognos administrators address the need for Cognos license tracking and how best to do it. Administrators are usually the ones tasked with Cognos license auditing and insuring compliance with their license agreement. Why track licenses in Cognos? Many Cognos administrators typically don’t worry about Cognos license auditing or license compliance unless they are being audited on their license usage or it’s in preparation for the annual support renewal. IBM appears to be more aggressive about the license compliance issue than when Cognos was a standalone company. From their perspective this is just an issue of keeping honest people honest. As an IBM Cognos customer, however, you want to avoid a situation where the result of an audit is a large, expensive surprise in order to “true up” for what you are using versus what you purchased. This can be avoided by having a regular process of comparing what you’re actually using against the number of licenses you purchased. Your licenses need to be tracked against the license bundle(s) or model that you purchased those licenses. That may seem obvious at one level but its implications can be confusing to some. Our work to create the Cognos license and capability tracking feature within our NetVisn product was a real eye opener. In talking with Cognos it became obvious that looking for a standard model or structure behind how user licenses were sold would not provide the results we were looking for. Why? Because in most cases these were packaged and sold in a way that best met the customer’s needs at a given point in time. This makes sense because it typically results in the customer getting what they need for their unique requirements at a competitive price. Another proof of this is that our own customers pointed out the need to be able to count and aggregate licenses in a flexible manner since license audits are only one of the reasons for tracking licenses. 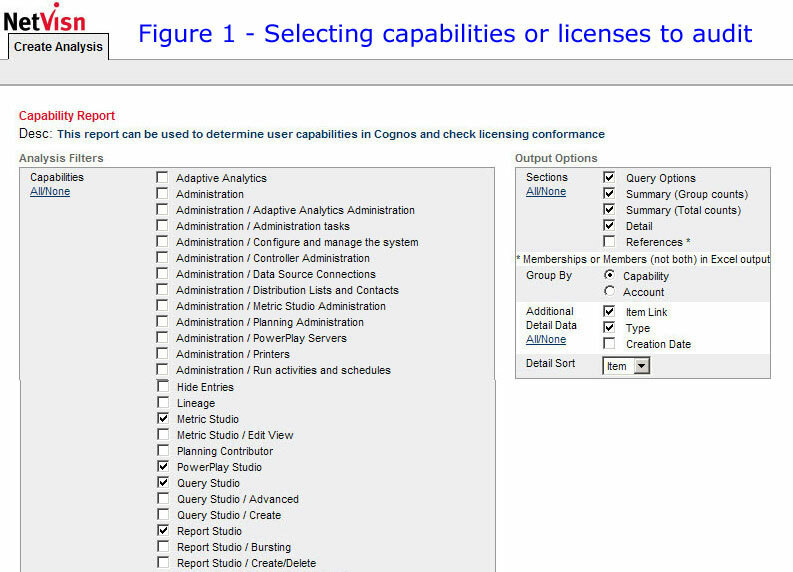 Figure 1 shows a partial listing of capabilities within Cognos 10 that can be assigned to users via the security tab of IBM Cognos Administration. Some secured functions have sub-categories for more detailed control of capabilities. Report Studio, for example, has a bursting feature to control who can edit and run burst reports. In this example we are looking for counts on Metric Studio, PowerPlay Studio, Query Studio and Report Studio. In Figure 2 we see the results of this license count selection. 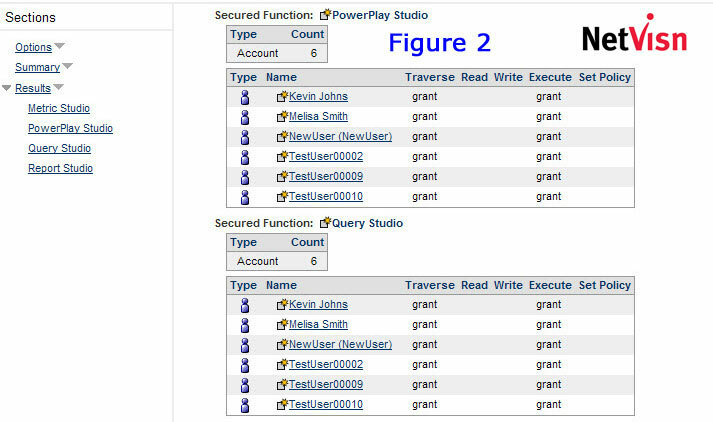 It shows the total and detail of users for two of the functions selected; PowerPlay Studio and Query Studio. In this example each has six users and we can also see the names of those six users. Determine how many of a given license type are currently in use and by whom. Easily map actual licenses in use against those purchased. Doing the actual count of licenses can be difficult and tedious since the manner in which access to capabilities is granted can become complex. Most environments assign capabilities to groups and roles rather than named individuals since it makes management easier. Individuals that need specific capabilities are assigned to a group. A second group may also need this same access and in some cases the same individuals could be members of both groups. Here the problem is potential double counting which would over count the number of actual licenses in use. Tracking licenses and capabilities manually in a small or mid size environment may be possible but it will be difficult to get and maintain a perpetual count over time. In a large or complex environment you will likely need a third party tool or utility that can track these automatically. If you go this way you need to clearly understand the rules being used for what gets counted and how it’s counted. This is critical in terms of having to defend your numbers in the event of a license audit. 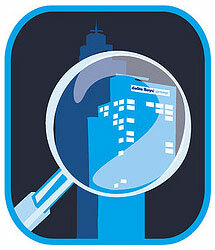 All IBM Cognos environments at one time or another will be faced with the need to do an audit of their licenses. It may come for a number of reasons and administrators need to be able to count and track licenses and capabilities in multiple dimensions. If you are going to purchase or create a tool or utility for doing this you need be clear about the rules it uses to insure that it is accurate and has the level of precision for what you need to track and measure. © 2011 - Envisn, Inc. – All rights reserved.